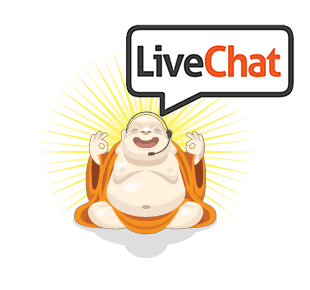 Every time we fix our customer’s issues or add new feature to LiveChat, we are excited. We love the feeling when we make our customers happy. But now, when we’ve integrated our live chat software with Zendesk, we’ve got someone to learn from. Someone, who spreads love to customer service even more! Allows to automatically forward all after-hours messages left by the website visitors during the time, when there were no live chat operators available. LiveChat forwards the email and creates a ticket with customer contact details and message. From that point communication is handled by Zendesk agents. Allows to place LiveChat button on any Zendesk page which supports widgets. Live chat button on Zendesk enables visitors to have their questions answered in real-time directly on the website.More detailed instructions are covered by LiveChat & Zendesk integration tutorial. Our integration is also listed in Zendesk’s Extras & Add-ons section. If you have any ideas for further integration, don’t hesitate to pay a visit to Zendesk forum, where you will find a thread covering LiveChat & Zendesk integration. You can also let us know about your thoughts using comments on our blog or directly using LiveChat. LiveChat for iOS – a Work in Progress!